Maybe, too, that is why the occasional shred of kindness feels remarkable. Why soft rejections or kindly worded letters can feel like little scraps of hope and compassion among the mulm of the amassing turndowns. Because there are journals out there that understand the difference it can make in a writer’s life to receive a rejection that is a little more thoughtfully worded and that encourages us to try again. So, for the sake of making this process as bearable as possible, here is a list of journals that I have found to be the most consistently considerate. While it is nowhere near an exhaustive list (one can only be rejected by so many journals in one’s lifetime) these journals in particular have reminded me in their generous rejections of the incredible community I am participating in. And, more importantly, they have reminded me how fortunate I am to have something to share. According to Duotrope, One Story Magazine is one of the twenty-five most challenging journals for fiction writers to break into, but it also responds to 40.41% of submissions with a soft rejection. As the first journal that ever rejected me, I have a special place in my heart for One Story, both because of the amazing work they publish and because of how good it feels to receive an email from one of the most esteemed journals that refers to your work as impressive and encourages you to submit again. When you’re living in a world where rejections can come three times in one day, it’s nice to be lobbed a little bit of public acknowledgement. In that way, Glimmer Train reminds me of one of those award banquets for kids where everyone wins an award. That’s not to say it’s even close to easy to get your work into Glimmer Train (it has one of the lowest acceptance rates out there), but they do their best to dole out small slices of success to as many writers as they can. With each of their regular writing contests they not only announce the names and story titles of the winner, but the top twenty-five finalists and an additional fifty honorable mentions. That means that with every contest they run, seventy-five writers are being publically acknowledged for the quality of their work. After long weeks and months and even years of nothing but rejection, having your name on a list of finalists can feel like a goddamn miracle. To this day, the only personal rejection I have ever received has been from The Missouri Review. That is because, according to Duotrope, 53.18% of the journal’s rejections are personal ones. That’s really incredible if you think about it: one of the top journals in the country responds personally to over half of their submissions. I can’t begin to imagine the talent and dedication it takes to do this, but I can tell you that, as a writer for whom throwing her work into the world often feels like a one-sided game of catch, having someone toss it back with specific feedback made me feel as if I were a part of an actual conversation. It reminded me that I am not alone, that there are people on the other side of this exchange, reading my work and responding to it in kind. 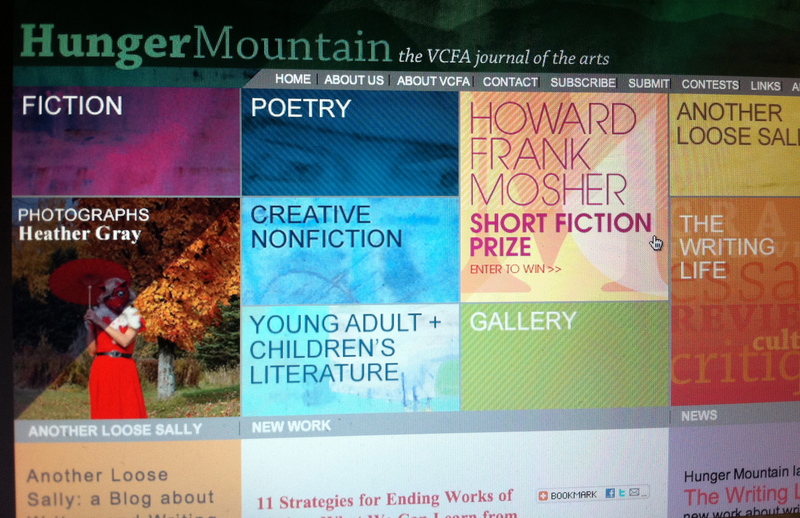 Hunger Mountain receives a number of excellent submissions each reading period—and while "We Were Together" is one of them, it wasn't chosen for our upcoming issues. Thanks for sending it to us. Rejections are never easy—for you the writer, or for us, the editors. But as you also know, rejections are part of what being a working writer is about. Know that this isn't a reflection on your work or on your worth as a writer. Sometimes it's just things like space constraints or that our vision for upcoming issues of Hunger Mountain is simply different than what "We Were Together" reflects as a piece of work. Please do consider submitting your work again. Maybe it’s that the first thing they do is call the writer’s work excellent, or maybe it’s that they take the time to acknowledge how hard rejection is, but I think the part where this letter does its best work is when it reminds the writer subjective this process is. This particular rejection is like the best kind of “it’s not you, it’s me” letter you can receive. It reminds us that it really isn’t a reflection of our work when we’re rejected, nor is it a reflection of our worth as writers. Because it’s really not. Being reminded of that in this process is entirely necessary, and the fact that Hunger Mountain does that with each rejection is incredibly charitable. Lockjaw is a new journal, one that only recently published their first issue, but if their numbers on Duotrope are any indication, they are doing the lord’s work with their rejection statistics. 89.58% of the writers who submitted work to Lockjaw for their first issue received personal rejections, and while I have not yet gotten my act together enough to revise and submit my work to them myself, a friend of mine showed me his rejection letter from them that not only outlined the merits of his story and explained why it didn’t quite fit their aesthetic but suggested other journals that might be better suited for his style. The rejection, like the best kind of workshop letter from the best kind of workshop mate—the one who believes in your work and who wants you to succeed—made clear that, by sending my work to Lockjaw’s editors, it would land among friends, not opponents. Now, go. Submit your work. Tuck away the rejections that don’t ask you to submit again or that don’t address you by name, and be sure to appreciate the journals that do. Then come back here and tell us where they are so we can all submit to them instead. Emily Lackey is a graduate of Middlebury College and the Bread Loaf School of English. She received her MFA from the University of New Hampshire in 2014. Her work has appeared in The Intima and Buffalo Almanack, and her story, "We Were Together," was a finalist for the 2014 Glimmer Train Family Matters contest. She lives in western Massachusetts, where she is at work on a collection of short stories.